“Spina bifida” presents as a variety of congenital defects from simple bony malfusion to open neural tube defects. The presentations and surgical management of these defects are very different, but both seek to detether the spinal cord. 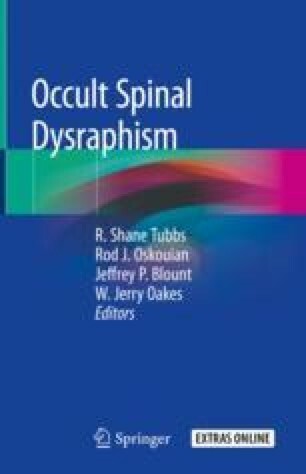 Although the embryology behind the occult and open forms of spinal dysraphism is very different, clinical management can be somewhat similar. Herein, we discuss the intersection between these pathological entities.